With the warmer weather just around the corner we are running a series of podcasts showcasing our selection of second hand mobility scooters. We will be publishing a new a new video every two weeks. We needed absolutely everything to adapt our house to cater for them and to get them around everything they wanted to do and see in NZ. Adam was brilliant with providing/sourcing and advising equipment to hire and buy and extremely generous with his time. He was also very flexible around dates of pick up and delivery. He was genuinely happy and interested in how much we had managed to do with the parents and sympathetic to the problems and adversities disabled people still face in NZ. We highly recommend "Walk on Wheels"
Barry (B): Hi Guys. This is Barry from Walk on Wheels. 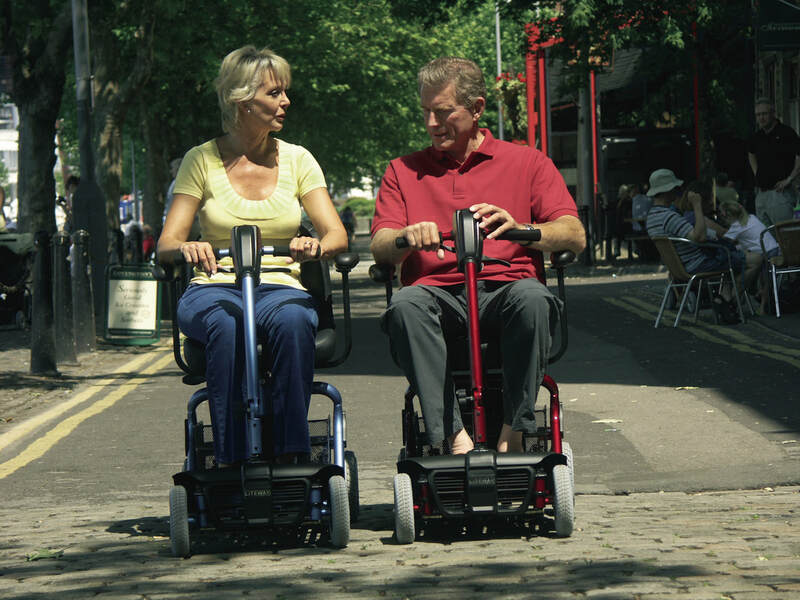 In front of me I have Glenys one of our very happy customers Glenys has just purchased a lovely Invacare Pegasus. This is her new machine which gives her freedom and mobility. Glenys you’ve taken this for a bit of a drive – a test drive – how did you feel about it? B: That’s great – one of the important things for us that it does the purpose that it’s designed for that it suits your needs and that it is safe. How do you think it’s going to change your life having one of these? B: Wonderful this is the good part about this job that you can see how these mobility products and scooters improve people’s lives they have freedom, mobility, they can get out and about and enjoy their life.